Bats often roost in tight, warm areas, such as attics. Females live in groups in attics, where they give birth and raise their young. They can leave urine and guano (droppings) that can cause a terrible odor, corrode wood and drywall, and cause mold and health problems for people. Repellents and devices are ineffective ways to deal with bats. Traps are also ineffective and can be harmful to bats. The only effective method is a live exclusion. Bats usually use several small openings to gain access to a house. Once the bats have been excluded, it is critical to seal off all of the entry points. Bats may come back and try to get back into the attic. Plastic or metal screening, caulk, or high-density polyurethane can be used to seal off entry points. Entry points cannot just be sealed at night since the bats do not leave the attic all at once. The first step is to get them all out of the attic before sealing off entry points. After the bats have been excluded, it is necessary to clean up the urine and droppings they left. This can be done by shoveling, vacuuming, replacing insulation, and fogging the attic using an enzyme cleaner. Bats cannot be removed in the summer because that is the maternity season. The young are born from late April through early June and cannot fly until August. If you try to exclude them then, the babies will be left behind, and the mothers will try to get back in to get to them. 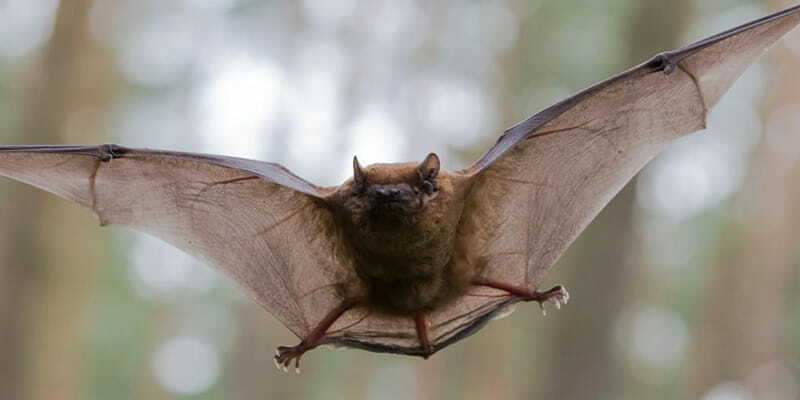 If you have a colony of bats living in your attic, repellents and devices will not work to get rid of them. You need to hire professionals, such as Anderson Wildlife Control. We have the experience to safely exclude bats from your attic and locate and seal off the entry points to prevent them from coming back. We will install one-way exclusion devices on the primary entry/exit points so the bats can fly out but cannot get back in.